Many of our customers join My Halloo to get a local number for their business. What is the Benefit of a Local Number? Aside from the obvious benefit of allowing locals to call you without having to use long distance, there are other benefits you should know about. 1. Having a local number imbues a feeling of trust with your customers. If you see a number with my area code, you think they are in town and employing local residents regardless of if this is true. Some people are leery about working with businesses they can’t visit or they feel is far away. If you are a large business who works in many different cities, this allows you to create a specific virtual phone system for the area code as well as a location specific website or page. If you are an international company, this benefit can be even more important. 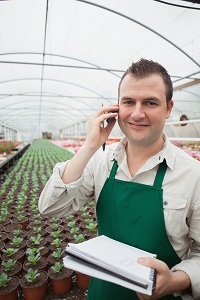 With a local number, you have the flexibility to display your business around the local community. This can include directories, Chambers of Commerce, posters, park benches, bulletins, etc. Residents take pride in local businesses amongst their community and prefer them over national companies. Some people prefer to call a local number if they need support for your product. This shows another layer of trust with the local community. The next time you have a branch or business in a community, consider getting a local number. It can offer positive gains to your business. This entry was posted in Local phone numbers and tagged local number, local numbers, local phone number, local phone numbers by Kimm Antell. Bookmark the permalink.